The monsoon season brings to our mind the images of school kids splashing in puddles, a group of friends sharing cups of hot tea, the colorful umbrellas that brighten our city, and a freshness that relaxes us leaving us with a warm feeling. And in that relaxed state of mind what better to read than the latest edition of Samvad? We present to you a colorful issue of Samvad, full of fresh ideas from the brightest minds across the country. Now that the new academic year has begun we have many new enthusiastic additions to our team. They have added more vigor and vitality to the magazine that we have come to love. We have come up with some truly brilliant ideas and our readers who are used to the usual brilliance that Samvad brings to them every month, have a bigger treat in store. As Business school graduates we are well aware of the term CSR – Corporate Social Responsibility. A popular website states that CSR is about the organization’s obligations to all stakeholders and not just the shareholders. This month, the theme is CSR and our writers have presented their take on CSR in the fields of Marketing, Human Resources, Operations and Finance. 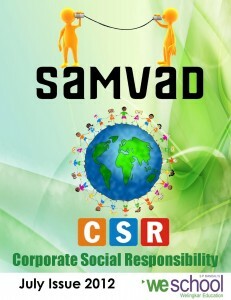 For the August 2012 edition of Samvad, we are inviting articles from all domains – Marketing, Finance, Operations and Human Resources. The theme for the edition is ‘Sports Management’. Please send in your entries to samvad.we@gmail.com. Refer to pg. “57” of the magazine for further details. 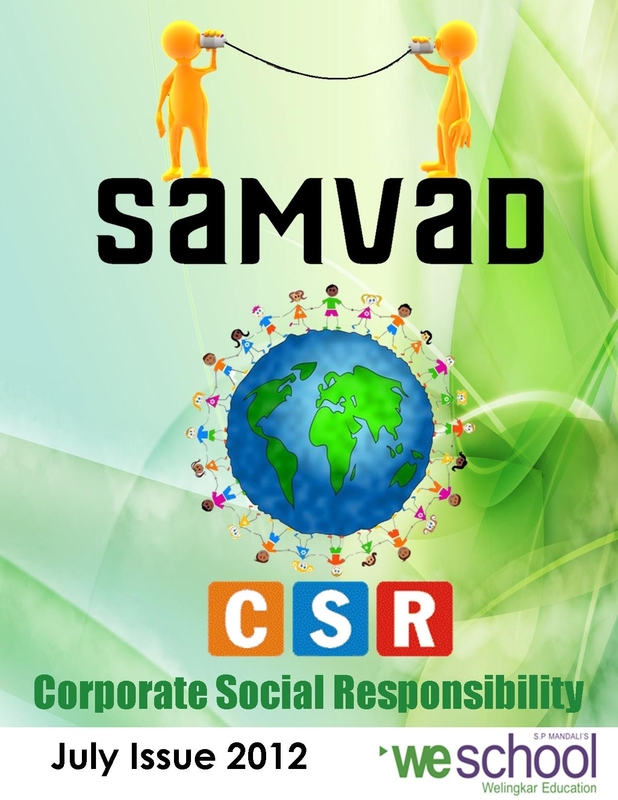 Click here to read the July edition of Samvad. Click here to download the July edition of Samvad.